Baling has not the same process for every product. Each product has a stiffness, weight, volume and behavior during storage and transport. That’s why we are suppliers of stretch film with different characteristics. We have film coils for use with manual dispenser. Choose you coils from different colors, weights and microns to get the best cost performance and optimum product protection. Show your mark on the packaging of products with the logo print on them. Our coreless coils are perfect for reducing weight and waste generation in the process of manual wrapping. And for applications where space and weight acquire a critical character, we offer you the minifilm. The transparent film to keep the contents of the pallet visible. Perhaps you prefer colors to highlight or differentiate the type of product they contain. We can print your logo on the film for baling your pallets. 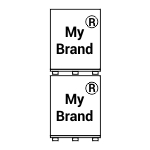 There where they are transported or stored will be advertising your brand and ensuring the inviolability of the load. Coreless have less weight, lower consumption of raw materials, less waste generation, more ecology. Coils for smaller and lighter manual application. Ideal for working in environments where space and ergonomics impose their law. The transparent film keeps the contents of the pallet visible. 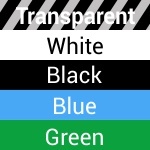 Perhaps you prefer to highlight colors to differentiate the type of product that contain or ensure the integrity of cargo, avoiding undesired manipulations. We can print your logo on the film for baling your pallets. Where are transported or stored will be advertising your brand. It sets the level of pre-stretched and thickness of the film. A good combination of these parameters is a guarantee of efficiency. 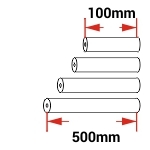 Choose between different coil sizes to suit the needs of your machinery and your products. 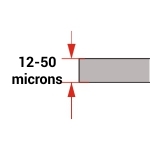 Widths from 100mm to 1,500mm. 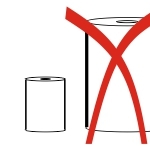 We have film reels for use with automatic or semiautomatic wrapping machines. You can choose different colors of film, thickness, pre-stretch levels and other features to get the best cost performance, optimal protection of the packaged product and ensuring the integrity of the load. You will also have the chance to show your brand on the packaging of products with the logo print on the film. If you need, we help you to select the best combination of pre-stretched and thickness to properly hold your pallet without damaging the goods they carry. It’s essential film for ventilation, cooling, drying or maintenance of a stable temperature. It prevents heated and frozen products and the generation of condensation inside the pallet. The best solution for cold-hot lines. Suitable for manual or automatic application. Enjoy the advantages of the only stretch of the market stretch mesh. Ideal to hold more firmly loads with irregular volumes. It allows ventilation of the load and prevents condensation inside the pallet. All these extras features and a 20% higher performance. Special coils for use in orbital packaging machines. Its use is indicated for horizontal packaging processes. We have different coil width and different thicknesses options. Alternatives enough to be precisely adapted to your needs. Transparent film to keep the contents of the pallet visible. Perhaps you prefer colors to highlight or differentiate the type of product they contain. We can print your logo on the film for baling your pallets there where are transported or stored as they will be advertising your brand. Set the film thickness to suit your system and your product application. A good choice of thickness is a guarantee of efficiency. Choose between different coil sizes to suit the needs of your machinery and your products. 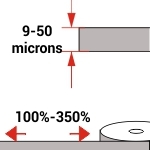 Widths from 100mm to 500mm. Your merchandise pallets will be as an advertising way where to publicize your brand. 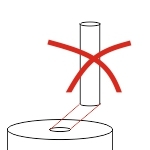 From our searching of packaging efficiency, we offer our bobbins without core. A lower consumption of raw materials, a lower weight, a cost reduction and less waste generation.